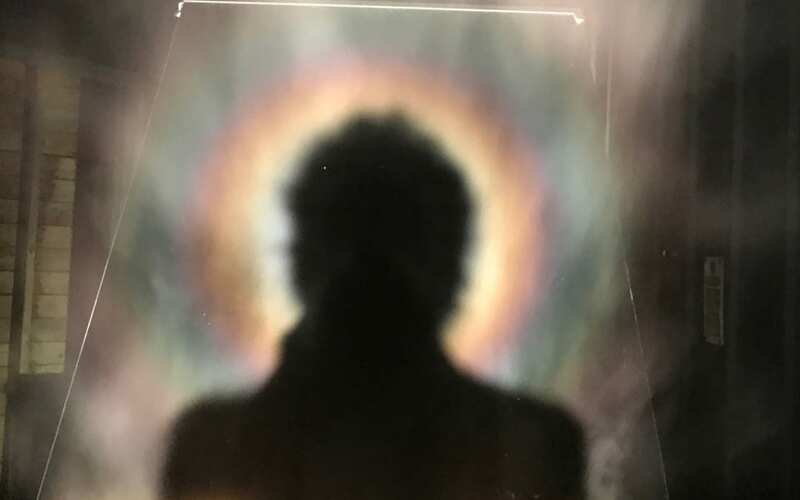 Derbyshire Artist Charles Monkhouse has developed Brocken Spectre for installation at Rievaulx Abbey (North Yorkshire) in the Spring when it will be projected along the axis of the Abbey presbytery. Charles has been developing the project for a considerable time and recently used LEVEL to refine the installation process. Our centre is ideal for this project as its location (in a dip) offers shelter from the wind and our corridor provides enough space to site a powerful light source. A Brocken Spectre is the shadow of an observer surrounded by a spectacular, iridescent glory suggesting a halo, projected onto cloud or mist. Usually seen in mountains, sightings are rare even for regular walkers.